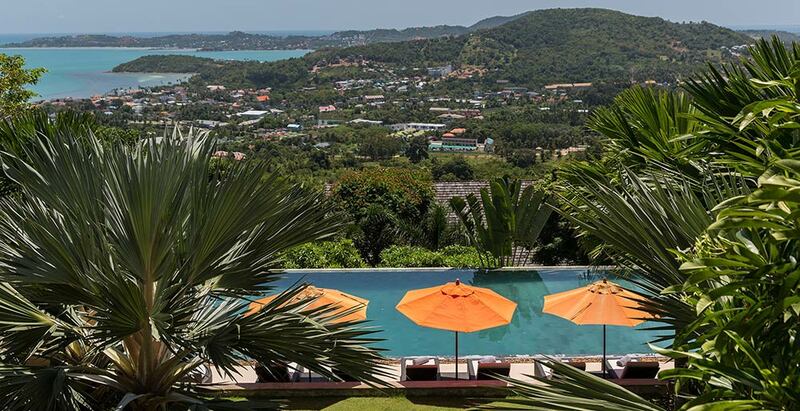 Villa Atulya is part of Panacea Retreat estate, located on Bophut Hills, north coast of Samui. This clifftop villa boasts glorious panorama of sunrise to sunset. The contemporary Thai-style building has five bedrooms overlooking the pool and garden, appointed with king-size beds and rain shower bathrooms. High cathedral-like ceiling houses the lounge, dining area and show kitchen. The generous 20m infinity pool with a swim-up bar is the focal point of the property while sunken stools, barbecue facilities and Thai sala provide al fresco dining. A villa manager, housekeepers, service attendants and an on-call private chef are available to cater for individual guest needs.